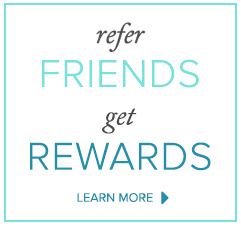 EARN 20 LOYALTY POINTS plus a Chance to Win! *One Grand Prize Winner will receive Four 12oz Cell Therapy Systems - a 1 Year Supply. The first 20 submissions will receive a FREE 12oz Bottle of Ovation Cell Therapy Hair & Scalp Treatment. It’s easy to enter. 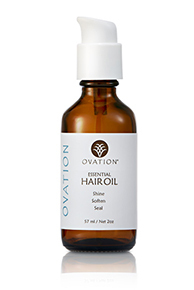 Simply share your 'hair' story – why you love Ovation Hair Products and how your hair has improved since using Ovation Cell Therapy. Please limit your testimonial to 1-2 minutes, and follow these helpful tips to win the best video overall! We will upload your hair share to Ovation Hair’s YouTube playlist and, if you are a winner, your video will be included on our website! After you have posted your video on YouTube, send us the details by filling out this simple form! Good luck! By uploading a video, you certify that you own all rights to the content or that you are authorized by the owner to make the content publicly available on YouTube, and that it otherwise complies with the YouTube Terms of Service located at http://www.youtube.com/t/terms. We appreciate you taking the time to share your hair story with us. We will review your video and contact you soon! Shoot in a distraction free environment. Make sure you have quality lighting and sound. Can we see and hear you clearly? Have your notes or script ready. We specifically want to know: Which products you use and how the products have improved your hair. Keep the video between 1-2 minutes long. Record and watch a practice run. I understand my name, related biographical information, and testimonial in the video recorded of me (the "Testimonial") may be used by DC Labs, Inc., (hereafter the "Business") in connection with publicizing and promoting the Business or any other lawful purpose. I hereby authorize the Business to use the Testimonial. I grant the Business the absolute and irrevocable right and unrestricted permission to use, reuse, copy, publish, republish and distribute the Testimonial, in whole or in part, individually or in connection with other material, in any and all media now or hereafter known, including the internet, and for any purpose whatsoever, specifically including illustration, promotion, art, editorial, advertising, and trade, without restriction as to alteration. I waive any right to inspect or approve the Testimonial, including written copy or edited video wherein my likeness appears. I agree that I will make no monetary or other claim against the Business for the use of the Testimonial. I forever release and discharge the Business from any and all claims and demands that may arise out of or in connection with the use of the Testimonial, including without limitation any and all claims for libel or violation of any right of publicity or privacy. I hereby hold harmless and release the Business from all claims, demands and causes of action which I, my heirs, representatives, executors, administrators or any other persons acting on my behalf or on behalf of my estate, have or may have by reason of this authorization. I am a legally competent adult and have the right to contract in my own name. I have read the Video Testimonial Consent and Release and give my consent for the use as indicated above. IF YOU AGREE TO BE BOUND BY THE TERMS OF THIS VIDEO TESTIMONIAL CONSENT AND RELEASE, PLEASE CLICK THE BOX "TERMS & CONDITIONS."